Missing Persons of AmericaWhere is Baby Kate? Home » Editorials » Where is Baby Kate? Personally, I am getting a little tired of all these missing children that are not being found. The family and the public and the police search feverishly for weeks on end until there is no place left to look. Then slowly, like heat dissipating from a smouldering fire, their name is mixed in with other children that have been missing for years, and they are forgotten by most. 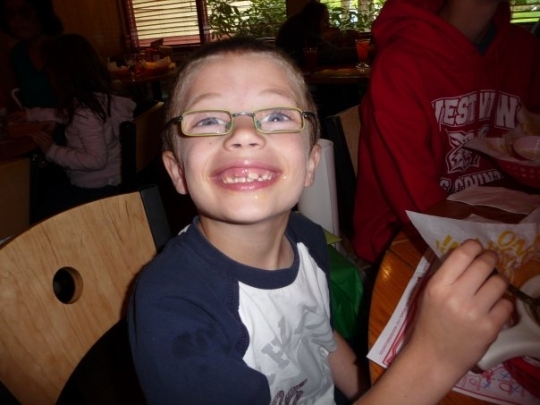 Hailey Dunn (Hailey’s remains were found) still missing, Kyron Horman and Baby Kate (Katherine Phillips) and the Skeleton Brothers. Where are they for crying out loud? Someone knows. In each of these missing persons there is one person that knows, but they cowardly stay mum and let the rest of the world search in vain. Volunteer’s were out searching this weekend for missing Baby Kate from Michigan, who was allegedly abducted by her “likely” father, Sean Michael Phillips. Investigators still are looking for anyone that talked to Sean during the hours of 1-4 p.m. on Wednesday, June 29th, 2011. Volunteers have searched the Leviathan Golf Course and the nearby Ludington area forest this weekend, but nothing was found. Do you know these names below, do you remember their stories? Where are the Skeleton Brothers? Yes, your right. I have done a profile of them on MPofA which you can find on the list on the left.